This 6.5 cu. 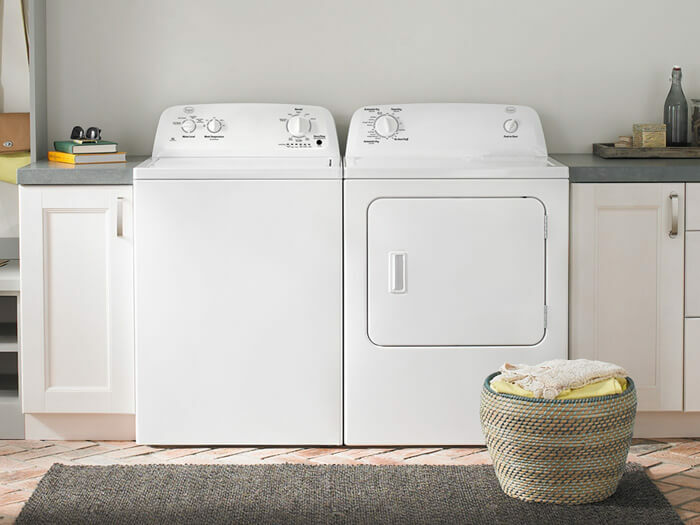 ft. Roper® Top-Load Dryer features Automatic Dryness Control to help prevent overdrying, while its selection of Dry Cycles gives you plenty of options to find the right cycle for every load. Plus, the Wrinkle Prevent Option intermittently tumbles clothes without heat to help prevent wrinkles and keep clothes looking like they just came out of the dryer. Automatic Dryness Control helps prevent overdrying by using temperature sensors to end cycles at the right time. Wrinkle Prevent Option intermittently tumbles clothes without heat to help prevent wrinkles. 6.5 cu. ft. Capacity provides plenty of room for large loads. Our selection of Dry Cycles lets you find the perfect fit for each load. Choose the right temperature for your loads with our Temperature Settings. 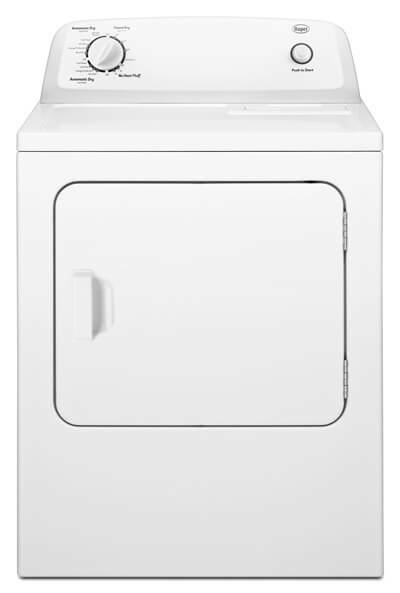 Install the Reversible Door to open to the left or right, depending on the layout of your laundry room.